Wow! I can’t believe it’s October already! My kids have been back to school and once again I got the onslaught of forms sent home at the beginning of the year. It can be very overwhelming and at times seems repetitious, but as a parent of a son with asthma, I try to be diligent and complete them all since he needs and uses his inhalers, and September/October are peak times for asthma. As many parents of children with asthma can relate, back to school can be exciting time for children, but also very stressful for parents. I am reminded how my son is once again going into the ‘germ pool’ when his teacher asks to supply a box of tissue and hand sanitizer for the classroom. The common cold virus can bring on many symptoms of asthma and if these symptoms are not controlled then parents can find themselves making that dreaded trip to the emergency room in the middle of the night. 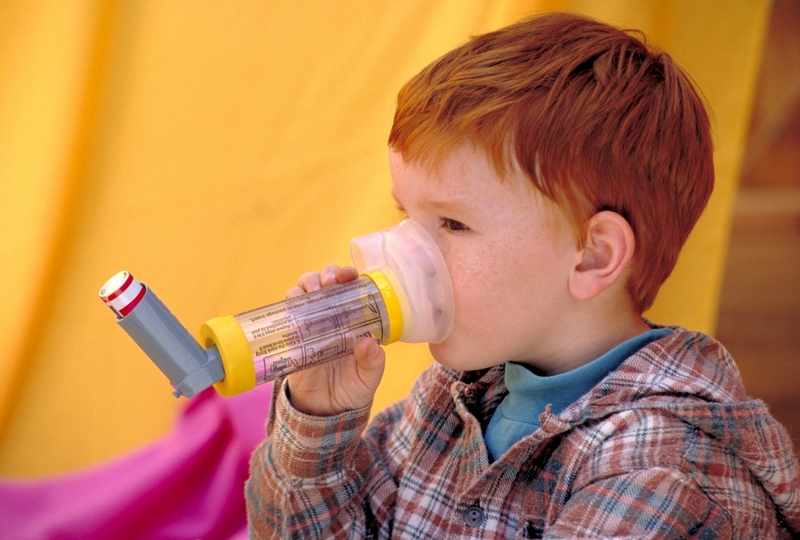 Does my son have his blue rescue inhaler at school? Does he know how to use the medication correctly? Does the office and homeroom teacher know about his asthma? Because I am also a Public Health Nurse offering asthma education in schools, I have had many parents come to me, confused on what medication to use when. Most commonly, they will ask, “Do I use the orange one or the blue one?” So here is a word of advice. If you are unsure, go to see your doctor and make a written plan with them or ask to see an Asthma Educator in your community. We are there to help. As you know parenting is a bit like a juggling act, and trying to keep all the balls up in the air is hard work. But doing these few basic things will help you feel more confident that your child’s asthma will be managed while at school. Do you have any concerns or questions about asthma and your child? Or call us: Dial 311 for parenting information or to talk directly with a Public Health Nurse, Monday – Friday, 8:30 a.m. to 4:30 p.m. This entry was posted in Children & Tweens, Keeping Your Child/Tween Safe, Keeping Your Teen Safe, Parenting Your Child/Tween, Parenting Your Teen, Teens and tagged asthma, back to school, cold and flu, illness, medication, parents, Physical Health, school, school health, teachers. Bookmark the permalink. If you have done your preliminary work, the dog shhould go down for you. s behavioral problem. We have haad other pets since Maggie aand faced the szme end-of-life decision years later wjth our two springer spaniels.